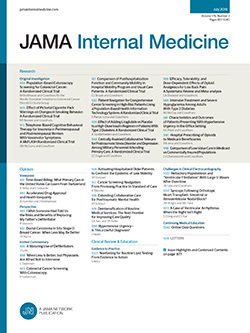 Should Health Care Systems and Health Care Providers Implement a New Pathway for Hospitalized Patients With Community-Acquired Pneumonia? We read with interest the study recently published by Carratalà and coworkers.1 The authors developed a 3-step critical pathway to reduce duration of intravenous antibiotic therapy and length of stay (LOS) of hospitalized patients with community-acquired pneumonia (CAP). The median duration of LOS was 3.9 days and 6.0 days in the interventional and usual care group, respectively. The authors found no significant differences between the 2 study groups in terms of 30-day mortality, and they concluded that this pathway is effective and safe to use. In his commentary, Sharpe2 called for a rapid implementation of this strategy. However, some remarks should be pointed out in this regard.